It’s good – and more lucrative – to be paperless. 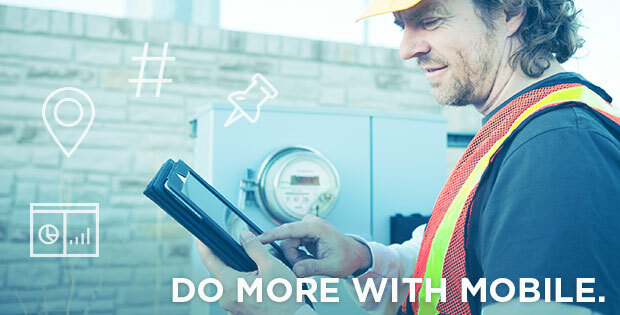 Indeed, going paperless in the field with smart mobile forms isn’t just a more productive, faster, easier, and more enjoyable way for field technicians to get their jobs done. It’s also the first step in transforming business processes from end to end by seamlessly connecting data across systems, Cloud services and stakeholders, while also supporting real-time analytics so organizations can track and improve business outcomes. 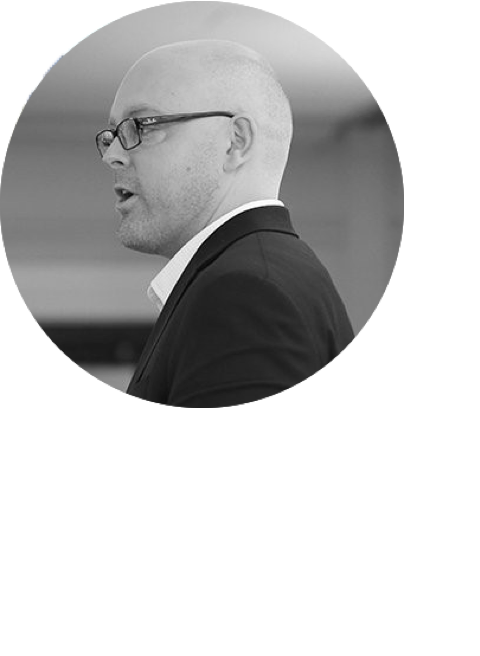 Put simply, going paperless improves ROI across the business. Just ask Cooke Aquaculture, the largest producer of Atlantic Salmon in North America. The harvester of around 100,000 metric tons of salmon annually has saved $2.16 million per year since going nearly 100% paperless in some departments. But companies going paperless in the field service industry don’t – and probably shouldn’t – get there overnight. Careful thought and planning must be put into an organization’s mobile forms strategy: Aside from device selection and connection requirements, you’ll need to think about which paper forms you’ll need to convert to digital, how your workflows will be configured, and where you’ll store all that data. But the benefits of paperless field solutions make it all worthwhile. They enable field workers to easily collect richer, more accurate data – with less work. Smart mobile forms allow for easy inclusion of photos, sketches, or audio recordings in digital submissions, with time and GPS coordinates stamped and embedded automatically. Structured data enables mobile forms with “if this, then that” conditional logic and repeatable sections, allowing organizations to hide or show sections or questions based on user input. The use of mobile devices like iPhone or iPad to collect field data also cuts down on repetitive or unnecessary data entry, errors, and those ever-too-common issues with illegible handwriting. They ensure field workers always have the most up-to-date information. Mobile forms are great, but they’re even more effective connected to real-time field data. That’s why a truly smart mobile form leverages dispatching and cloud-connected data sources to provide only the latest information in asset lists, price and parts lists, CRM data, as-built diagrams, or any other relevant data technicians may need. Data sources push updates into the field, and can be updated every time a form is submitted so technicians always have the latest from the field. They automatically generate and share documents with stakeholders. With a single form submission, automatically send customized documents or reports to multiple stakeholders including PDFs for clients, Excel spreadsheets for accounting staff, xml sheets for analytics platforms, and even custom-formatted documents for compliance and regulatory organizations. You can also configure SMS or email notifications to stakeholders who need to take immediate action based on context-sensitive workflows, so safety managers are automatically alerted in case of an inspection failure, for example. They fully integrate with your Cloud and business systems of choice. Smart mobile forms are easily and seamlessly integrated with your favorite Cloud or business systems and software, be it Salesforce, Box, FTP, SharePoint, Dropbox, and more, with no code required. Forms can be pre-filled with customer details, inventory and pricing information, and even detailed manuals and procedures to save time, increase accuracy, and improve outcomes in the field. Business systems are also updated in real-time when data is submitted, greatly speeding up billing and invoicing processes. Oil & gas giant Halliburton is a great example, speeding up its billing and invoicing from weeks, and sometimes months, to real-time by going paperless. They provide an easier, more accurate way of tracking field performance & compliance. You can integrate your mobile field solution with nearly any business intelligence or analytics platform, allowing for the aggregation and analysis of form data to uncover patterns, trends, and correlations. Create and share executive-ready reports using smart visualizations on only the latest data. And since data submissions to back-office systems with smart mobile forms is so much faster, your ability to spot and track potential problems or opportunities grows exponentially after going paperless to ensure business decisions are made on the most relevant field conditions. These are just a few of the advantages conferred to enterprises who ditch their traditional paper forms for smart mobile solutions. To see what kind of cost savings your company could realize, check out ProntoForms’ ROI Calculator: For a typical company with ten field workers earning $40/hour and who spend three hours per day filling out forms, the projected cost savings are nearly $15,000 per month. 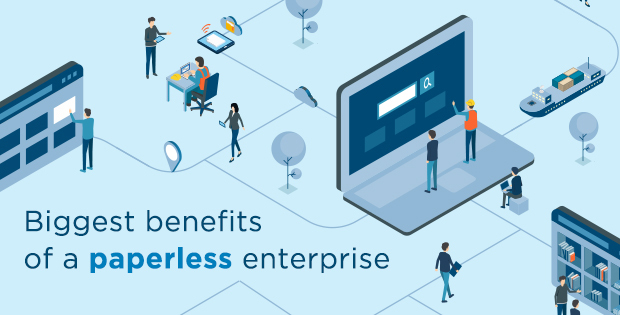 These advantages and more are why the low-/no-code ProntoForms solution embraces the power of mobile, with intelligent, business-focused, and easy to learn workflows, while enabling the building of responsive web and mobile applications. Its integrated, automated governance also ensures compliance with your IT department, no matter how strict. For organizations wondering how to become a paperless business, ProntoForms’ years of experience and technical knowledge can both answer your questions and assist in any areas of the planning and execution process, from start to finish. 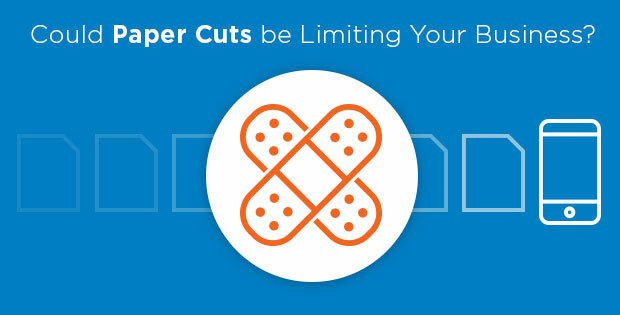 Could Paper Cuts be Limiting Your Business?